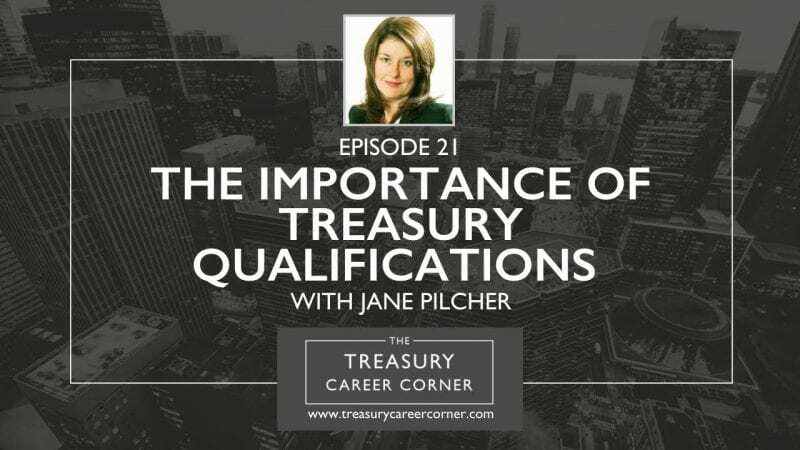 On this episode of the Treasury Career Corner podcast, I’m delighted to be joined by Jane Pilcher, the Group Treasurer at Anglian Water Group. Anglian Water Group’s principal business is Anglian Water, the group’s regulated water and sewerage company, which supplies water and water recycling services to more than six million customers in the east of England and Hartlepool. Anglian Venture Holdings is the investment and management vehicle responsible for the Anglian Water Group’s commercial businesses across the UK and Ireland, with over £100 million invested to date. These businesses have a combined turnover in excess of £500 million and offer customers a wealth of expertise in the water industry and infrastructure related sectors. As the company’s Group Treasurer, Jane is responsible for all finance and treasury activities of the group. However, her prime responsibility is to raise group debt, debt and bank investor relations, and liaise with the three rating agencies. Jane and I had an interesting discussion about her experience in treasury, her current role with Anglian Water Group and where she sees the future of the treasury industry going next. It’s a fantastic episode and one that you’re going to find a lot of value from, especially if you’re interested in pursuing a treasury career. You can get in touch with Jane by reaching out to her through LinkedIn profile. You can also learn more about Anglian Water Group over on their website.